The high street and the workwear industries have been communicating ideas for several decades. It might appear that this would be one way traffic, with the fashions of the high street leading to workwear manufacturers investing enormous amounts of time and money to keep pace with contemporary, leisure orientated styles. This is partially true, however it is a more reciprocal process than you may expect. Susanne Malim, founder of bespoke corporate wear designer Jermyn Street Design highlights this relationship. 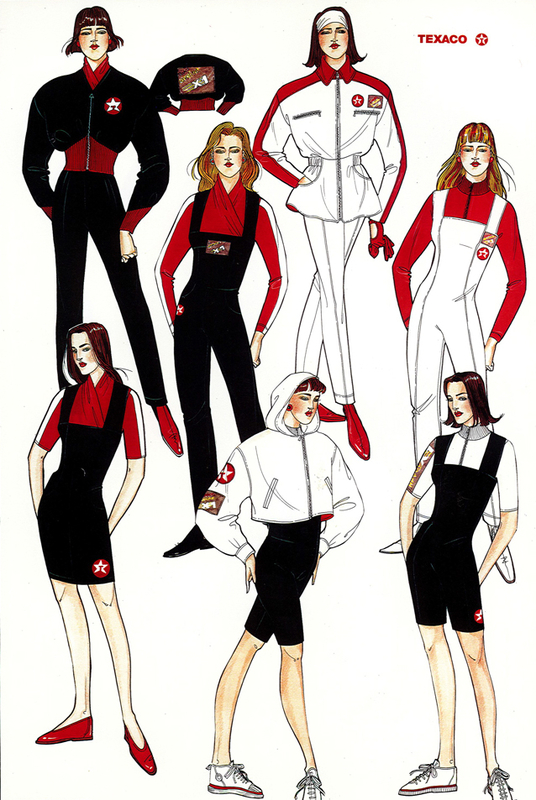 She states that motor sport uniforms of the late 1980s such as Texaco and Honda, which utilised products such as the “flash” jacket in the workwear sector before they become commonplace on the high street. Uniform, however, has numerous practical elements not considered by high street designers. This article is not aimed at the purchasers of workwear for chefs, or mechanics or hotel receptionists. Simply because their requirements cannot be and should not be catered for by fashion retailers and nor would customers consider turning to them. These sectors understand the need for a formal uniform in their industry. In the reverse, traditional professional services such as lawyers and accountants will never require a uniform. Their workwear is the suiting and shirt or blouse combination and save for an enormous cultural change, this tried and tested norm isn’t going anywhere soon. However, what about businesses without the utilitarian considerations? Or businesses whose employees aren’t necessarily customer facing where the brand building and identifiability aspects are not required? Traditionally, this is where the High Street comes in. Most major retailers such as New Look, Zara and Marks & Spencer have a “workwear” section. In summary, these are a cheaper business-casual section for women with corporate influences over what is in essence an informal style. This categorisation is less apparent for men’s clothing and is undoubtedly just incorporated in the more common product types such as trousers, shirts etc. If you are a retailer, more casual hospitality venue or another customer facing business than there are several practical reasons as to why an official uniform is the stronger choice than the high street. 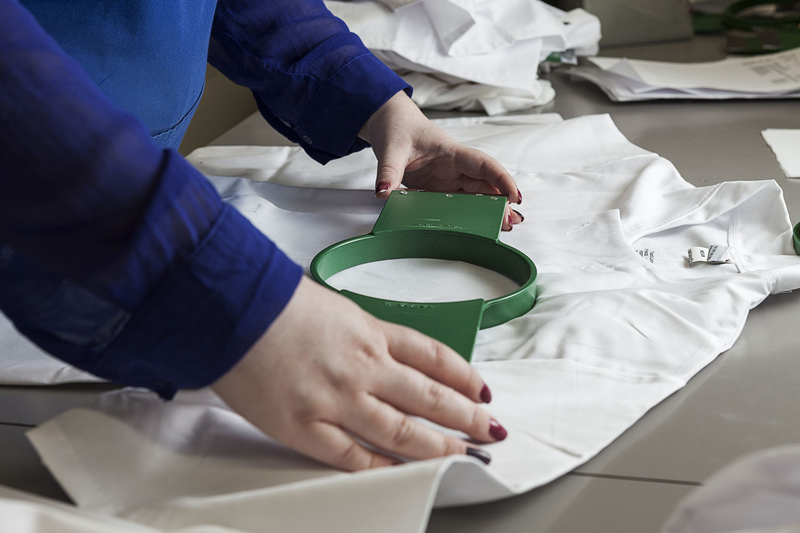 Firstly is cost, across the quality scale workwear specialists such as ourselves can source products of your choosing at a highly reduced cost, in contrast to purchasing from a retailer or ecommerce website. This is because we have to provide garment volume to massive organisations such as Pizza Express, therefore, we either manufacture or source direct. From a cheap poly-cotton t-shirt to suiting and tailoring, you’ll get it cheaper from us. Secondly, is product continuity. High Street trends change rapidly and with the rise of fast fashion in particular you can see popular garments becoming in and out of stock in just a month. This might not seem an issue in itself but when one of your team damages an item and the rest of the teams’ are fine it becomes harder to maintain consistency of appearance without repeatedly buying a new uniform product every few months. Finally, is the additional service options. Personalisation is a key part of a successful uniform without wishing to spend the astronomic amounts on a bespoke outfit. At Tibard we can embroider, heat seal transfer or screen print most of our key products so you can utilise any logo style and achieve the look you desire for your business. Even a subtle bit of branding can make a real difference to your customers, making your staff more accessible and also differentiating them from the crowd. Outside of this, ensuring your team has sparkling workwear week in week out is something you have to get right. The easy choice is just to allow your staff to sort it themselves but this carries several risks. As we discussed in a previous article this can carry health hazards and goes against the Health and Safety Executive’s guidelines. We offer a national laundry network to all of our customers. Your uniform would be laundered to the medical standards of the NHS and all for just £1 to £2 per garment per week. For the return, it is incredible value. There is a strong argument against an official uniform for businesses who do not require one. A casual, staff autonomous approach to workwear does hold some advantages. It facilitates a more relaxed atmosphere in the workplace and for more creative businesses and this can be argued to have an impact on performance. But with such advantages come certain issues. The most obvious being too informal. If your largest customer is coming in for a presentation and a member of your staff, either in the meeting or just the office, isn’t dressed appropriately is that the impression you would like to leave on them? There’s no point saying to the offending employee after the fact that you need to smarten up. Another failing of this approach is consistency of the brand. When you allow your staff to purchase their own workwear you welcome a huge number of styles and subjective choices into your workplace. If your team has bought from the high street that may also bring up an ethical question, given the continued social and environmental abuses of the fast fashion industry. This will hardly foster an identity for your organisation. A key caveat to the official uniform approach is the staff’s response. This is a difficult factor to quantify as some members will no doubt enjoy the freedom of buying and wearing their own workwear. And in other cases, it reduces the stress and cost of having to purchase clothing just for work. You know your staff and as much as we advocate purchasing a full uniform, if it’s not appropriate or will be received poorly than don’t do it. However, we know the advantages far outweigh the potential risks. The key aspect of this is buying something your team is proud to wear, incorporates your shared values and allows your business to grow into something than just a job for them. The High Street has long filled a space in the workwear market. There has been an established gap between the practical uniform and the professional suit and tie. With the continued rise and popularity of business casual it is so easy for employers to just allow their team to purchase their own workwear. We believe that this is a missed opportunity from a brand building perspective and carries several risks such as poor laundering and informality. Uniform is an opportunity to clothe your brand, incorporate your values and to let anyone who interacts with you know what your business is all about. Personalised clothing such as a polo or tee shirt is the simplest and often the most cost effective solution to enable a relaxed atmosphere whilst simultaneously developing a business identity. If you are still unsure of what approach you should take, get in touch with one of our team who will point you in the right direction.